Our rigs are filled with AMD processors and graphics cards, we game for 12 hours together during the VLANs, we discuss technical questions and lean on one another for build advice, we are the AMD RED TEAM! Tell us with an image or video why you are part of the AMD Red Team for a chance to win a great prize! Note: You do not need to re-create a new image/video for this week, you can use last week's submission. 6. That's it! Want to increase your chances of winning? Submit your image/video on Twitter using #AMDRedTeam AND #Contest! Selection process: A random drawing will take place among eligible participants. The winner will be chosen on June 10, 2016 at 3:31pm CT and announced here on the thread soon after! 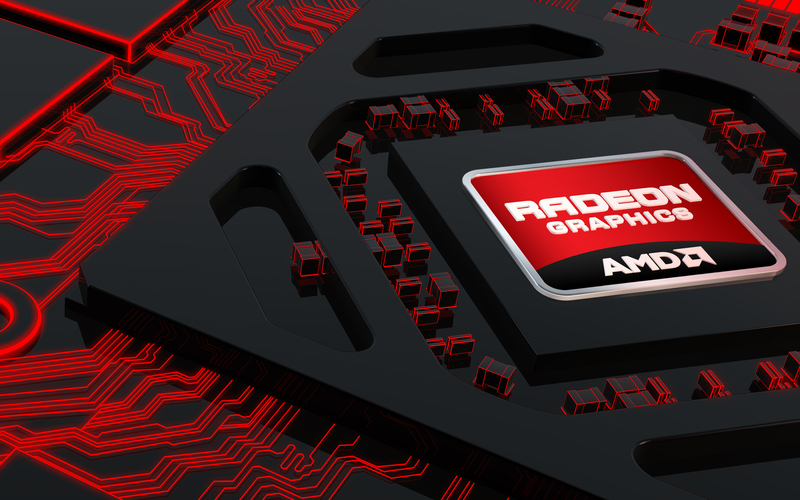 Be sure to read the2016 AMD RED TEAM SWEEPSTAKES - WEEK 4 OFFICIAL RULES before you enter! Good Luck! EDIT 6/10: Congratulations to mohotashi (and remixreviews from Twitter) on being the fourth and final winner of 'Why are you AMD Red Team?"! Just to have fun. The cpu's above still works. ~ Because i bought cpu @2013. and i still don't feel like i need any stronger in 2016. ~ Because u can buy HD7950 and still play games in 2016. 1920x1080p with great FPS. ~ Because overall in past years i used R9 280, R9 280x and now R9 290, and switching from first to last card costed me all around 30eur (35-40$) in 2-3years and i can switch to R9 390 easy for 20-25$ more and still get flawless fps. Thats only 50$ from R9 280 to R9 390 if u have patience. ~ Because i can't wait RX480. ~ Because i can't wait Zen. ~ Because being on a red side is a passion. CPU AIO: Deepcool GamerStorm Captain 360mm AIO. I've been with Team Red since the K6-2 days, and I am currently enjoying the low power consumption Athlon 5350 APU for my 24/7 rig (running off a 90 watt laptop power supply! 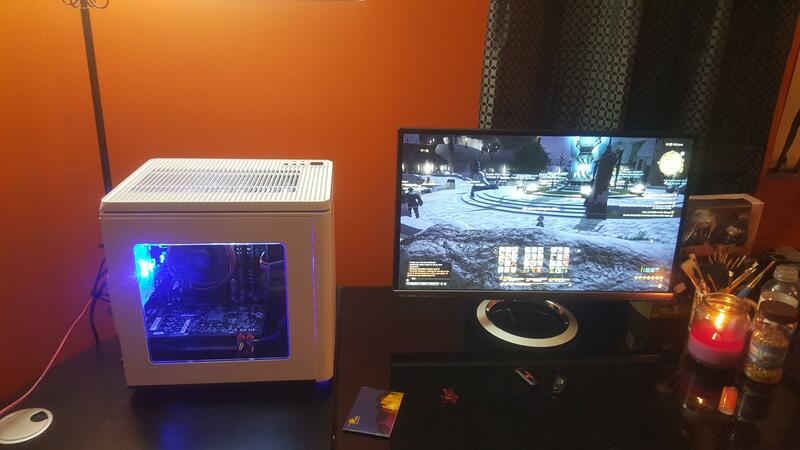 ), and the very capable R9 390 in the gaming rig. Week 4 Here we go .... Good luck everyone!! Thank you AMD Red Team for being so awesome! Be sure to click the link below to see my video on youtube! Grats to everyone who won last week ! Because I love this community! I am part of #AMDRedTeam since 2001. Love AMD and will continue to build systems based on their products. It all Started with a Giveaway in KarmaBack Thank you Harlan Beverly . You won the AMD Phenom II X4 from AMD! will not be able to claim your prize. Harlan Beverly, CEO of Karmaback, Inc. Thank you for another opportunity to participate. June is a good month to win. My PIBrary represents a commitment to a way of doing things - the AMD way. To be #AMDRedTeam means you have AMD hardware. which means you will get good performance for the price, with efficiency. #AMDRedTeam also means you have access to a nexus of ideas and experiences, a place to exchange information and demo builds, which are useful for novices and experts alike. I am #AMDRedTeam because we help each other to understand which hardware is best for each computer build or upgrade. And it's fun. Why a Red Team Member you ask? Cause of my FX8350 and R9 280 on my current rig, my AthlonII X2 and HD5770, of my previous one, my HD4870 and HD7970 on my laptops, and I could keep going.... Good luck to everyone! In short: Red Team member because of the community. Helpful and respectful. Shot from ComputeX Taipei. I think that's enough. #AMDRedTeam - Best Bang for you Buck! Why I'm part of the Red Team. AMD is a company with a rich history and unique vision. During AMD's pursuit of technological advancement, more than once AMD completely changed the playing field; with highlights such as AMD64 architecture or creating the first dual-core processor. More recently one can think of Mantle and releasing the first HBM GPU. But being tech-savy isn't nearly enough to get me to join a community, it'd just have me purchase AMD products. Yet more than technological advancement alone, AMD strives for technology to be attainable and inclusive, resulting in marvels such as OpenGL and Freesync. And now we're talking 'bout the honey that made this little bee join the hive! A tech giant envisioning and shaping the future, all the while actively making the spoils of its labor available to all... That's one of a kind and made me think of recreating this picture of the Iron Giant . I've always regarded my father as a pretty intelligent man. He served on board a nuclear submarine in the 70's, and currently works for DoE in the nuclear field today. He's also responsible for bringing home one of our first computers in a time when they were not commonplace like they are today, and it featured an AMD K-6. The thing was indestructible, and ran cutting edge games with the help of a VooDoo 3 card that blew my SNES out of the water. 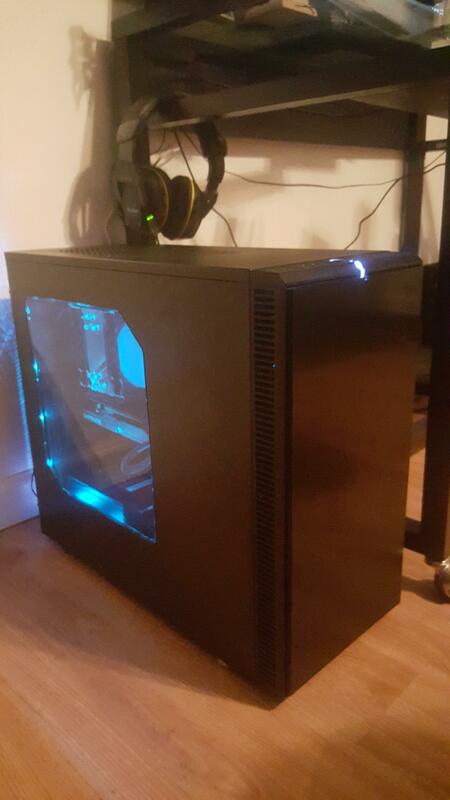 That computer was the family computer for a long time, but when I moved out, I knew I would need one of my own. The performance of that machine and the AMD badge on it stood out in my mind and I selected a new, custom built PC featuring an AMD AthlonXP 2500+ Barton Core and an ATI-9600 GPU back in 2001. The system originally clocked at 1.83gz, but, being young, poor, and having not much else to do, I decided I'd see what it could really do. It was my first overclock, and I got the PC to run at 2.3Ghz on the stock cooler. The front LCD temperature readout stayed at 90*C or so. I didn't know any better then. Eventually, that PC got replaced by laptops for a few years as PC gaming took a backseat to life, but my interest in the technology field remained. Today I work in the IT field, and more recently, amidst a series of life changes, my wife's need for an actual workstation became apparent, and that a fun project for us both would be to build the workstation together. I figured it would be cheaper, built exactly to the specifications I wanted with the looks and form factor that she wanted, and a good learning and bonding experience for us both. At this point I thought back to the last system, with the old 2500+ in it. By now I realize what a terrible thing it was to run a rig at 90C for its life. But I also realized that despite that tremendous amount of prolonged abuse, the thing never died. In fact, this weekend, I'm about to move it out of the attic of the house it's in that's about to be rented out and might see if it fires up again this many years later just for fun. I'm pretty sure it will. Yeah, I did a lot of research. I saw a lot of people talking about why I should switch to blue. About Piledriver being a "dated" architecture that didn't keep up with the modern blue chips. So I researched a lot of benchmarks and what I found was that the FX-8350, despite being based on a 4+ year old architecture, wasn't much slower than the newest generation of i5s. In side by side comparisons, I found that this chip was typically within around 10-15FPS than Intel's latest. The difference, however, was that the AMD combo was, as I expected, much cheaper, which let me sink more money into the GPU, where gaming performance is based much more heavily. If I'd gone with the Intel, I would've had a faster CPU that would be crippled by the cheaper GPU I'd have to buy. The fact that a 4+ year old architecture is still strong enough to stay on the market next to its competitor for that long says to me that you can make a helluva CPU if it's still getting stuck in brand new builds today. I mean, think about it for a little bit. Moore's law of computers states that PC's roughly double in speed and capability every two years. Four years is a tremendous amount of time in technology. You're taking a CPU made 4 years ago, and telling me that its competitors latest chips are only slightly faster for my purposes and they cost $100 more? If I take that $100 and sink it into my GPU, aren't I going to be running faster than the i5 with a $100 cheaper GPU? Even if I didn't have the impressions that old K-6 and Athlon 2500 made on me, the logical choice would have still been #redteam. So anyway, we chose the FX-8350 and an R9-380 Sapphire GPU and slammed it into a M-ATX build. Let me just say that finding a micro-atx board with a 970 chipset for an 8350 is a CHORE. There's exactly ONE and it requires the use of a top down blower style cooler. Undeterred, I purchased it and The Brave Little Toaster was born. Performance improved greatly and I was very content with cruising around 60-80 FPS in FFXIV, and everything else moving pretty snappy too! We were moving into the holiday season around this time and I got the best holiday present ever; Erin informed me I had won Week #3 of the holiday giveaway and shipped me out an R9-Fury card to replace my efficient, but dainty in comparison, R9-285. I also received two AMD t-shirts with Ruby, a couple of sock hats, and some patches! Needless to say, whatever my next computer need is, it will be an AMD product, thanks to erin.maiorino, and the employees of AMD who came before her many years ago. Thank you to anyone who actually read all of this. I decided to give everyone else a few months before I entered another giveaway on account of winning the Fury last December, but I got a desire to see what was happening on the message boards and found this contest and thought I'd share my experiences. If I do win, I'll be upgrading my wife's GPU and probably donating the 380 to a friend who needs one. In any event, it's good to be back and I plan on hanging out here more often, it's a lot of fun to see some of the beautiful rigs people have put together and it fills me with dangerous, and expensive ideas. Here's to the last week! Good luck everyone! Because I'm poor and AMD/ATI were my best friends on the PC market. I am glad to be part of your team AMD #1 for me! This configuration desktop i remember i purchased 8 years ago, and i still enjoy it watch movies, browser and if I remember well i played all the games until 2013! So for me, this system was the best experience AMD, i hope this year i can go to the next level, await the appearance the new processors ZEN, because i want to make a new system ! Ok, here goes one more time . So yeah, I'd say it explains why I'm team red . Lemme repeat myself - it's a team that has never let me down, in any shape or form. Even tho I haven't really been able to keep up with all the latest and shiniest stuff, I have been recommending it to everyone ( and most of the time, people listened ). Sorry it wouldn't let me post my picture #AMDRedTeam. AMD, because even when the odds are against you... thats when Advanced Micro Devices performs best! Congrats go out to remixreviews & mohotashi ! Enjoy your prizes! Go amdredteam !!!! Thank you so much AMD Gaming ! I can't wait, gonna do a celebratory stream. Go AMD Red Team ! Congratz mohotashi and remixreviews ! CONGRATZ mohotashi and remixreviews !!! Do you guys pay shipping fees or does the company help you there? Congrats remixreviews & mohotashi ! Congrats to remixreviews & mohotashi for joining the winners' circle.